Your BMW lease is coming to an end, so you have a decision to make. 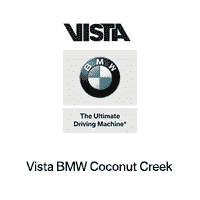 Vista BMW Coconut Creek makes your decision an easy one. Visit us and speak with one of our Lease End Specialists who will go over all your options and find the one that works best for you. Before you do that, however, make an appointment with our team of pre-inspection specialists for a complimentary pre-inspection. Avoid unexpected charges when you return your lease. We’ll even give you a discount to repair nicks and dings. Complimentary Inspection. Every dealer has to inspect a vehicle when the lease is up. This actually helps make your decision whether to return it or buy it much easier. Plus, get a discount for repairs.Coconut Creek today. Any BMW Financial Services Lease. You can return your BMW Financial Services lease here regardless of where you leased the vehicle. Easy Return. We make returning your lease quick and easy. There’s no pressure to enter into another lease. If you want to return it and walk away, we’ll shake hands and be friends forever. Easy Purchase. You love your BMW and don’t want to part ways. You’ll find that our purchase terms are friendlier, easier and we give a better value. Easy Upgrade. How’s this for easy? Return your BMW and get into a brand-new one. Wasn’t that easy? We’re confident you’ll find the Vista Lease Return Program is your best choice when your lease term expires. Take advantage of our low prices, spectacular VIP service and hassle-free lease return process.